Car accidents involving runners can happen in an instant, before either the driver or the runner is aware of impending danger. 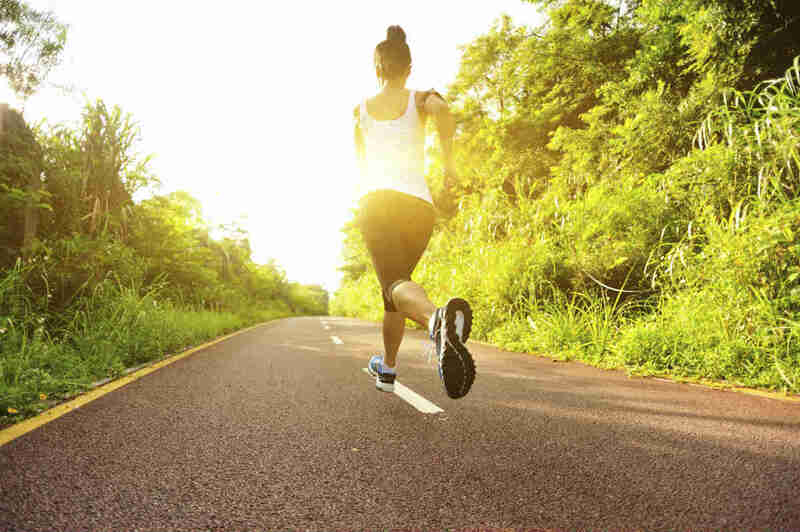 Runners and pedestrians have suffered serious and even fatal injuries in road accidents. Many of these accidents occur in the blink of an eye, before the driver can even notice someone is running, riding a bicycle, or walking down the road. The consequences of such accidents can be catastrophic, resulting in serious injuries or death. Traumatic brain injuries, spinal cord injuries, neck injuries, and broken bones are common injuries suffered by runners, pedestrians, and bicyclists in the event of an accident. It is always a good idea to take some precautions to prevent or at least reduce the risk of accidents while running, walking, or riding a bicycle. Consider running or cycling in a group. This helps to reduce the risk of an accident because someone else from the group may be in a better position to notice an approaching car and warn you in time. Consider taking your friends or family members or even your pet dog with you. Inform a friend or family member before leaving home. Give them a possible time of your return and where you are planning to go. That way, you can expect quick help from them, should you be involved in an accident. Avoid walking or running at night, especially when you are alone. Also, avoid wearing jewelry or carrying cash with you. Carry a cell phone with you. Keep your cell phone handy so that you can contact someone quickly in the event of an emergency. Carry your identification card. Include details such as your name, address, and contact number. Wear white-colored or reflective clothing. Especially at night, be more visible to drivers. Avoid wearing headphones. Listening to music while running or cycling may prevent you from hearing vehicle horns and thus you may end up getting involved in an accident. Be careful and attentive on busy main roads and roundabouts. When running through a lonely area, be aware of anyone following you. A victim may suffer heavy financial losses as a result of an accident. In addition to immediate medical expenses and hospitalization costs, an injured runner will often need to take days off from work, which adds to the financial burden. Moreover, if the victim loses a limb or suffers an injury that requires long-term treatment, the financial burden continues to increase. In many cases, a victim can claim financial compensation for the injuries he or she suffered as a result of the accident. If you have been injured in a road accident due to negligent driving, contact a St. Louis pedestrian accident lawyer as soon as possible. Despite taking the previous precautions, car accidents involving runners will happen. If you have been injured in a road accident due to a negligent driver, call The Hoffmann Law Firm L.L.C. as soon as possible. Call us at (314) 361-4242.